"Rise from your grave!" Help Zeus rescue his daughter, Athena, from the Underworld Demon God Neff, while rocking a werewolf form! 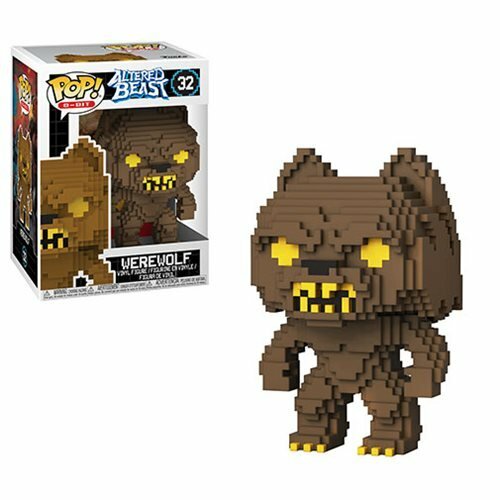 Fresh from Sega's original pack-in Genesis video game, this Altered Beast Greek Warrior Werewolf 8-Bit Pop! Vinyl Figure #32 measures approximately 3 3/4-inches tall and comes packaged in a window display box.